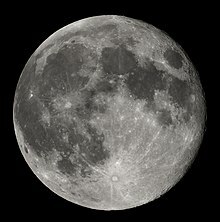 Mare is the name for a great plain on the moon. Several such maria exist. They are of volcanic origin, and appear darker than the highlands around them.